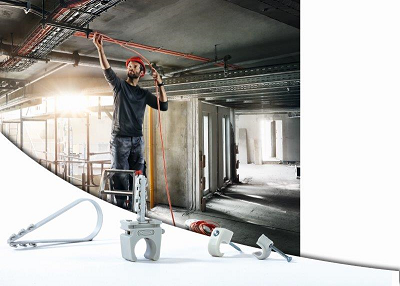 Some of the most technically-advanced anchoring system solutions in the world are being made available to the local construction and allied industries by leading distributor Upat in Johannesburg. Established in 1983, one of the sole distributorships that Upat prides itself on is, fischer from Germany. “We acquired the local fischer agent in 2002,” Upat MD Richard Kuhlmann explains. 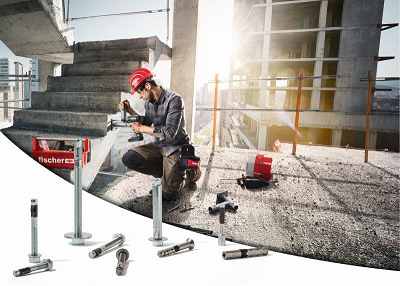 “In terms of anchor bolts and fixing systems, for example, there are no better products available on the market.” The specialist product range from fischer includes nylon plugs, long-shaft fixings, screw bolts, wedge anchors, chemical anchors, and heavy-duty fixings. Kuhlmann stresses that fischer has become synonymous with plugs, to the extent that it is a household name in this specific niche. “I would say without a doubt that fischer has brought a recognition of quality to the South African market.” He adds that the German company is differentiated by both its attention to detail, and the huge emphasis it places on continuous research and development to ensure its products are as up-to-date as possible, and in line with customer expectations and requirements worldwide. An example of this is newly launched DuoPower nylon expansion fixing. This products’ unique selling point is that it can be used in nearly all building materials including concrete bricks, hollow blocks, dry walling and any cavity materials. Upat has a two-pronged approach to distributing fischer locally, focusing on both the retail and industrial markets. “We were in the fortunate position of being able to entrench the brand initially in the industrial market, followed most recently by our focus on the retail market. It is a good strategy that has evolved ever since we began distributing the brand,” Kuhlmann elaborates. While the mining industry is definitely a key focus, Kuhlmann highlights the construction industry and its ancillary trades as representing its biggest market. These include cladding, suspended ceilings, roofing, timber-fixing and decking, facades, curtain walling, builders, plumber, electricians, steel erectors, fire protection, lifts and escalators and every sub-contractor on site. “We are aware of the fact that new investment flows are unlikely in the South African mining industry unless the impasse over the Mining Charter is resolved. Nevertheless, we continue to look at introducing new products for the mining industry specifically. In terms of sealants, silicones, and adhesives specifically, we have barely scratched the surface,” Kuhlmann confirms.